We employ local people to provide direct protection to the endangered douc populations and the forests in which doucs are found. One of most successful projects to date has been our snare and trap eradication programs. These highly successful programs employ local people to take snares and traps out of the reserves and national parks, release healthy live animals caught in snares and confiscate animals in markets, restaurants and private homes. Confiscated animals are then released back to their forest homes providing they are healthy. If animals need medical treatment, we transfer them to organizations like Wildlife at Risk who provides rehabilitation facilities for injured animals. 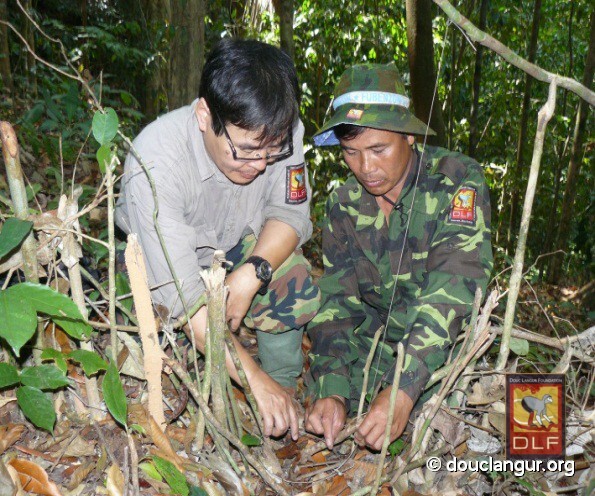 During the 2009-2011 season at Son Tra Nature Reserve, our teams confiscated 8 doucs, more than 840 wire snares and more than 6000 meters of fencing used to direct animals into traps. 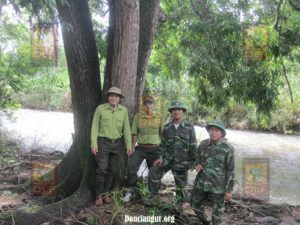 At Chu Mom Ray National Park in the Central Highlands of Vietnam our teams confiscated a gibbon which was rehabilitated at Wildlife at Risk and returned to the forest. In the last four months at Chu Mom Ray National Park, our teams have collected more than 15,000 snares and traps. In line with our concept of direct protection, we also support Douc Protection Teams composed of rangers and local people who go into the forest and actively protect douc groups from hunters, poachers and coming into direct contact with tourists. 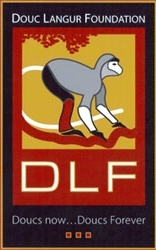 Local teams also monitor populations and protect douc groups when they cross the road.